This post is kindly brought to you by Boxwalla, who compensated me for this sponsored post. All product descriptions, tips and opinions are my own! This universal desire for feeding the mind and body is exactly what Boxwalla, a bimonthly subscription box concept, taps into with its exploratory boxes that help you discover artists and markers from around the world. In addition to curating green beauty box collections, Boxwalla also shares tastes of food, books and film, making it a master hub for all things beautiful and interesting. Today, we’ll deep dive into the green beauty boxes. I’ve experienced three green beauty Boxwallas (the first one I tried was in January 2016!) and have been impressed with the evolution, specifically in curating very in-demand-yet-indie brands. 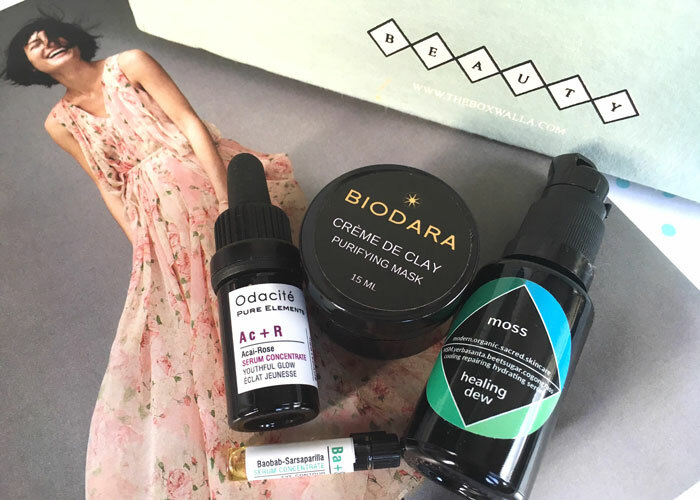 With an eye toward stunning products and an ear toward solid storytelling, Boxwalla’s June (above) and August (below) “Wandering Woman” boxes give depth to seemingly simple beauty products. For summer 2016, Boxwalla introduced subscribers to “The Wandering Woman” and her collection of clean beauty travel-must haves and exotic ingredients sourced from around the world. In June, Boxwalla tells stories of The Wandering Woman’s travels to find special ingredients from Italy (Gressa Skincare), Sweden (Henne Organics) and Morocco (Rachel’s Plan Bee). In August, the Wandering Woman continues her travels to Korea (Biodara Skincare), West Africa (Moss Skincare) and Brazil (Odacite) in search of natural beauty wonders. It is this thoughtful curation and creative storytelling that makes your bi-monthly Boxwalla a joy to unbox. But beyond this immersion into an exotic wonderland, when it comes down to it, I’m most taken by the eclectic, generous combination of products I’ve had on my to-try list. For example, Moss and Biodara are two I’ve seen around for a while but hadn’t yet tried for myself. It was to my delight to find these two brands in the August box. 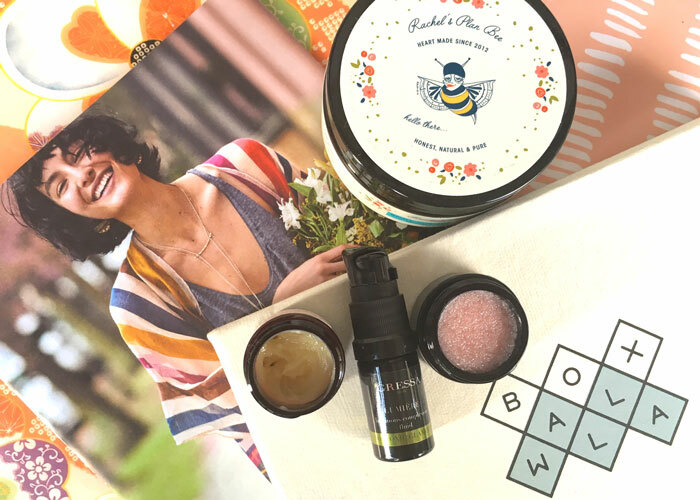 When it comes to generous sizing, I was thrilled to get full sizes of my favorite body scrub from Rachel’s Plan Bee and a beautiful lip polish from Henne Organics. These two products alone cost $44 — and is only half of what’s inside the $49.95 Boxwalla! When these products are taken out of the Boxwalla, the box itself isn’t destined for the recycling bin. Because of its nice, sturdy construction, it’s a lovely item for storing odds and ends or reusing as a gift box. And, as we gear up for gifting season (I know, right? ), Boxwalla has announced its October green beauty box concept: Ancient Secrets from the East. I’m anxious to see what will find its way into this collection — The Wandering Woman I and II have set the bar high (so high that they both sold out!). Wander on over to Boxwalla to sign up for the October green beauty box or to learn more! Have you tried Boxwalla? Do you have food, book or film subscription boxes too? Is anyone else freaking out that it’s almost gift-giving season? Tell me what you know in the comments!